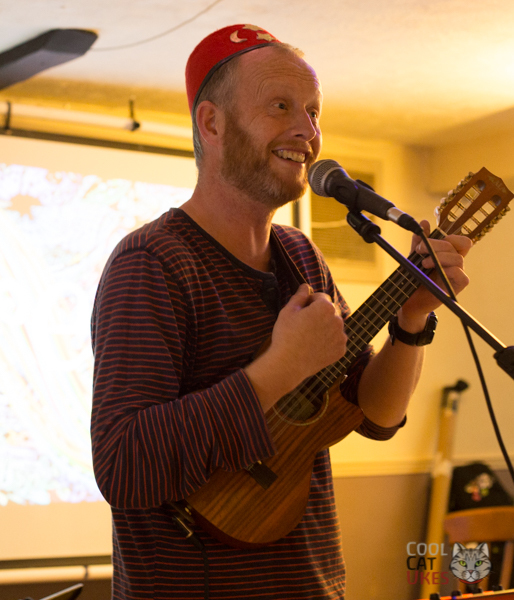 Jeff came along to unplugthewood just over a month ago and made quite an impression. 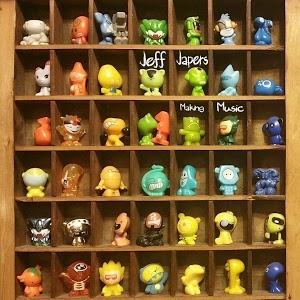 If you like slightly surreal stuff, observational comedy or plain silliness mixed up with catchy tunes, then Jeff's music is for you. If you remember the sort of songs that Richard Stilgoe used to write and perform on TV, you're in the right ball park. There's a lament about the high street sandwich shop - 'Subway' - which struck me as I've had probably my worst coffee ever there, but Jeff tells a story of how when you are stuck in the line of shame, there's no escape. Look at the track listing below, the titles will give you an indication of the madness here. "I do love Brian Cox, He's much smarter than a fox" - at least when you are writing silly songs, you can choose some easy rhymes I guess, but I'm sure that 'Brian Cox' himself would be very pleased with this tribute. You get the chance to have the immortal line "we'd all like to see more Cox on our TV", I suppose. When Jeff does these songs live, he has a slideshow to illustrate the songs which is a little lost on the recording, but you can always take a look at his YouTube channel to get the idea. He also has a little gadget with sound effects to augment the performance. Very clever stuff, fun for techies like me to watch! He's got a song about 'Pandas On Pedalos' - something you'll see almost every day off the coast of Wales. 'Bottoms Reservoir' is a great story about what might be in that glass of water you have just drunk, and how it got there. It's all nicely arranged, with some keyboard, bass and drum backing, all neatly done, well recorded. If you want a laugh, then this is for you. Well, I'm not sure what to make of that, but, did he write 'Tigers And Bees' about me?